Short-term treatment of bacterial infection at the following sites when caused by amoxycillin/clavulanic acid sensitive, beta-lactamase producing organisms. Skin and skin structure infections. Urinary tract infections (uncomplicated and complicated). Upper respiratory tract infections, such as sinusitis, otitis media and recurrent tonsillitis. Lower respiratory tract infections, including community acquired pneumonia and acute exacerbations of chronic bronchitis. Appropriate culture and susceptibility studies should be performed to identify the causative organism(s) and determine its (their) susceptibility to AMOXYCILLIN/CLAVULANIC ACID ACTAVIS 875/125 tablets. However, when there is reason to believe an infection may involve any of the beta-lactamase producing organisms listed in the microbiological section, therapy may be instituted prior to obtaining the results from bacteriological and susceptibility studies. Once these results are known, therapy should be adjusted if appropriate. The treatment of mixed infections caused by amoxycillin susceptible organisms and beta-lactamase producing organisms susceptible to AMOXYCILLIN/CLAVULANIC ACID ACTAVIS 875/125 tablets should not require the addition of another antibiotic due to the amoxycillin content of AMOXYCILLIN/CLAVULANIC ACID ACTAVIS 875/125 tablets. 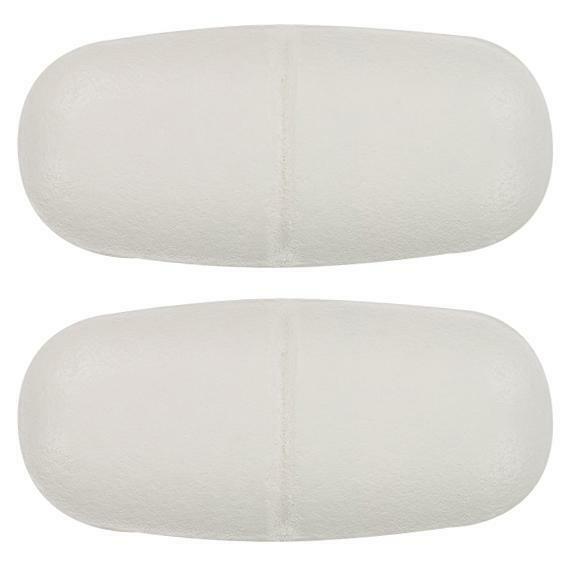 WHITE TO PALE YELLOW, OBLONG, BICONVEX, FILM-COATED TABLETS, SCORED ON BOTH SIDES.